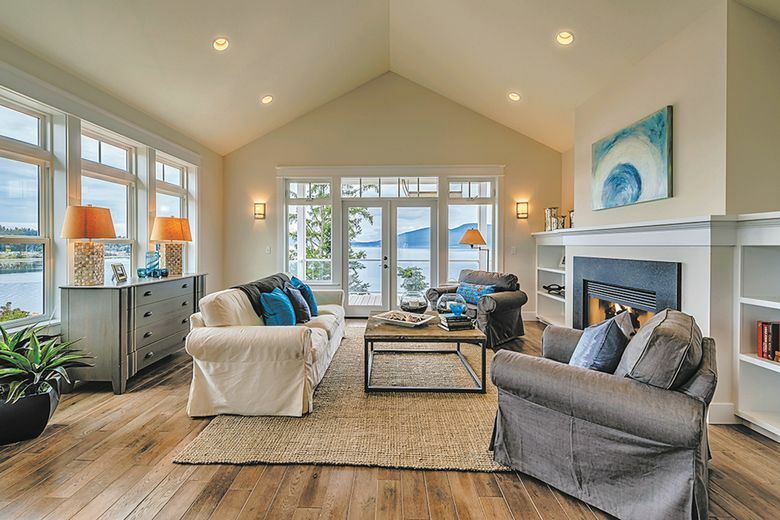 The 3,085-square-foot Deer Harbor plan features hardwood floors and built-in shelving. The 3,085-square-foot home is being constructed on one of the few remaining sites at San Juan Passage — a gently sloping, 13,700-square-foot lot along the community’s northwestern edge overlooking the Guemes Channel. ANACORTES — Deer Harbor on Orcas Island has long been a destination for boaters and travelers of the Pacific Northwest. The quiet harbor, centrally located in the San Juan Islands, is a protected refuge that serves as an ideal cruising base for discovering the islands. The 3,085-square-foot Deer Harbor plan has three bedrooms and 3.5 baths. It is being constructed on one of the few remaining sites at San Juan Passage — a gently sloping, 13,700-square-foot lot along the community’s northwestern edge overlooking the Guemes Channel. Designed to maximize exposure to the views and waterside setting, this home features wraparound decks on both floors. The verandas include covered and open spaces and are fitted with custom columns and railings. 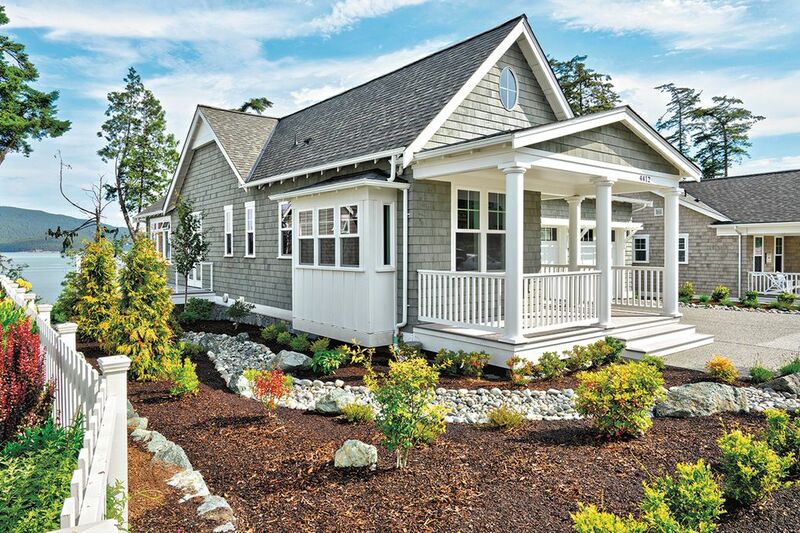 The Deer Harbor design at San Juan Passage features custom columns and railings on the front porch and a box bay window at the front of the home. The first-floor kitchen/dining room and living room feature 9-foot ceilings and are open to the water views. Near the main living area is a master suite that includes a sitting area, walk-in closets, and French doors that lead to the view deck. At the front of the home is an office or den area with a large box bay window. Craftsman accents range from coffered ceilings to built-in cabinetry to detailed moldings. The two-car garage is a few steps from the kitchen and laundry room. It includes a work area for weekend projects. Downstairs, a second deck spans the front of the home. Completing the lower level are two guest bedrooms, two additional bathrooms, a wet-bar area, a media room and a bonus room that connects to the rear deck and patio area. The arrangement is ideal for visitors who favor a separate, private space. Like all San Juan Passage homes, the Deer Harbor will be finished with granite counters, natural tiles, hardwood floors and natural shingle siding. Native drought-tolerant landscaping and custom stonework surround the home, creating a peaceful and natural backdrop. “There is still plenty of time to select the colors and personal touches that will make this home uniquely yours,” says Everton. All homes along Cutter Drive are connected to the waterfront via a pathway through Overlook Park, one of the four parks at San Juan Passage. At the water’s edge, homeowners can access the Guemes Channel Trail, which currently follows the shoreline for approximately 1.5 miles toward downtown Anacortes.